What is cidaemon.exe? Should I remove it? 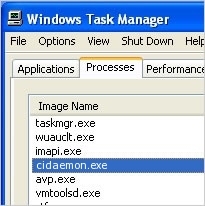 cidaemon.exe is a legitimate executable file, which is also known as a Content Indexing Daemon. Once installed on the system, it gathers information about the files and folders that are stored on the system. By indexing all this data, cidaemon.exe speeds up their search process and helps users find needed files or data faster. This file is an important part of Windows system, so we don't recommend terminating it. However, cidaemon.exe is not an essential Windows file, so terminating it won't decrease your computer's performance. Hackers are becoming more and more inventive, sometimes they can name their viruses, trojans, malwares and other malicious creations same as a legitimate windows process. If you do not have a reliable anti-spyware protection tool, or your security program is outdated, you can easily download malware that uses cidaemon.exe file name for hiding its presence on the system. 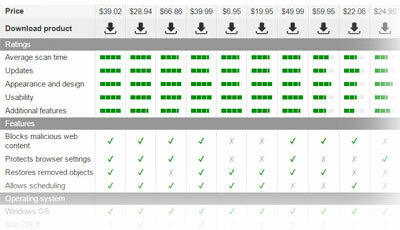 In order to prevent infiltration of such program, we recommend installing genuine and reliable anti-spyware tool. In order to scan cidaemon.exe file and make sure that it's safe, we recommend using RegCure Pro. This entry was posted on 2014-04-01 at 08:00 and is filed under Files, System files. You can quickly scan the QR code with your mobile device and have cidaemon.exe manual removal instructions right in your pocket.